Branson Impersonator-Tribute shows highlight the legends in entertainment. 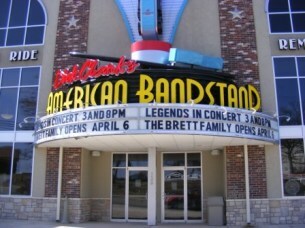 Entertainers in Comedy, Country, Rock, Motown & more are showcased on the stage in Branson. A musical tribute to one of the great sounds of yesteryear. Singer, song writer, producer and musician, Bill Chrastil shows his many talents this fall. Doug is a guitarist, pianist and one of the greatest voices in Branson, being a 7 time recipient of the "Male Vocalist of the Year" award as well as being named "Entertainer of the Year" and "Instrumentalist of the Year." You'll enjoy Doug's Mufftar, which is a guitar made from the muffler of a 1969 Thunderbird. A good, clean family variety show. The class of "57" and their band reproduces the smooth four-part harmony that made the Statler Brothers. Mike Walker takes you back through Conway's 35 year country music career before his untimely death in 1993. Close your eyes and you won't know if it's the original singer or Mike impersonating over 30 different characters! They take you back to the legendary ladies of country music. Get an up close and personal with Rico J as he takes you back to when music was really music with some of Motown’s Greatest Hits. A Doo Wop show featuring Chico Vega's tribute to the Difters. This show pays tribute to the group in a show stopping musical extravaganza featuring singers and dancers performing those 70's tunes! A tribute to the fabulous sound of Frankie Valli and the Four Seasons. Leroy New performs the classic hits of Marty Robbins and other country Legends. Leroy and his band of Branson’s most talented musicians play the greats! You'll see some of the best in entertainment on stage at Branson's Impersonator-Tribute Shows. These will showcase superb impressionists and wonderful tributes to the legends in entertainment from yesteryear and today.